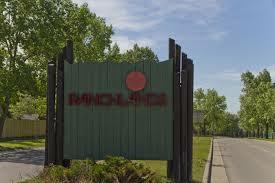 Here are all the homes currently listed For Sale in the community of Ranchlands Calgary. Please E-mail Glen at Glen@Godlonton.com to view any of these Great homes , before they are sold. More importantly as to be informed of any new listing that we may know about that are coming on the market in the future. 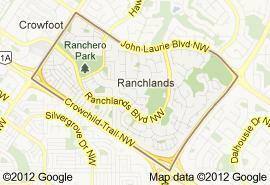 If you are interested in the SOLD prices in Ranchlands Calgary Please Send us a note. 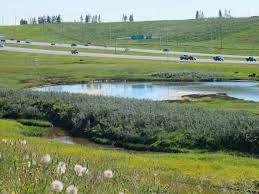 Ranchlands Calgary is a residential neighbourhood in the north-west quadrant of Calgary, Alberta. It is bounded to the north by John Laurie Boulevard, to the east by Sarcee Trail, to the south by Crowchild Trail and to the west by Nose Hill Drive. Residents in this community had a median household income of $60,727 in 2000, and there were 15.1% low income residents living in the neighborhood. As of 2000, 21.7% of the residents were immigrants. A proportion of 9% of the buildings were condominiums or apartments, and 27.4% of the housing was used for renting. The community is served by Ranchlands Community public school and St. Rita Elementary School (Catholic). Ranchlands Park is a natural environment park in the community of Ranchlands in the northwest part of Calgary. Location: 700 Ranchlands Blvd. N.W. Park hours: 5 a.m. – 11 p.m.
Ranchlands Park occupies about 12 hectares in the community of Ranchlands Calgary in the northwest part of the city. The park was established when the community was developed in the 1970s. Hobnob amidst the knobs and kettles. 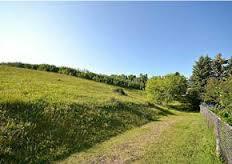 This parkland was set aside to maintain a sense of “ranch land” for residents in the surrounding community. Fortunately, the park also preserves geological features called “knobs and kettles.” Much of northwest Calgary was once a field of knobs and kettles but Ranchlands Park is among the last remnants left in a natural state. The knobs, which are small, rounded hilltops and the kettles, which are depressions formed in glacial deposits when a buried block of ice, left behind by a retreating glacier melts, form a field of steeply undulating hills. The terrain is covered with native grassland and an encroaching forest. On account of the knobs and kettles, the differences in drainage and exposure to the sun results in vegetation ranging from Rough Fescue Grassland to stands of Trembling Aspen. Because of the lack of native grazers such as Bison, the cessation of ranching and the lack of fire, the aspen and Buckbrush are slowly encroaching on the grassland. Wildfires, along with those started by aboriginal people to promote fresh growth were once important factors in maintaining grassland. On the grassland remaining in the park you can find several species of grasses and many native wildflowers such as Gaillardia and Sticky Purple Geraniums. A small, but interestingly shaped glacial erratic was left in the park by the developer of the surrounding community. The erratic was used by the Bison as a “rubbing stone,” and the native people of this area relied on the Bison. The stone was left to commemorate this historical aspect of the land. Prior to development, the land was used by aboriginal people for hunting (though there are no significant archaeological sites) and Europeans for grazing. Now, the land is a place where off-leash dogs and their keepers can meet and interact.